LeTourneau University has over 70 years of a remarkable history, and our alumni have so significantly impacted millions of people while advancing God's Kingdom. 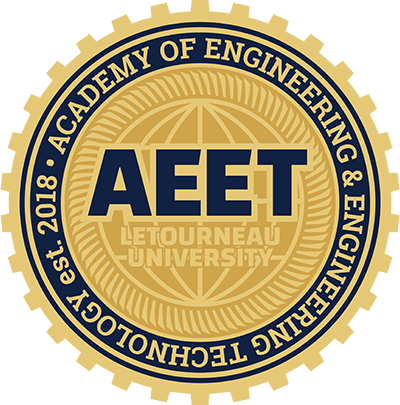 The LETU Academy of Engineering is led by a group of such prior engineering and engineering technology graduates who have already accomplished much, yet desire to be a part of the special role the Academy plays in further expanding our alumni impact in the world and in the lives of future SEET students. Over 30 engineering alumni were inducted into the inaugural class of the Academy of Engineering and Engineering Technology in April 2018. All of the alumni inductees have been out of college for at least 20 years and have become leaders in their respective disciplines and industries. LETU has more than 2,700 engineering alumni with 20 years of experience in their professions. To advance the objectives of the university development program by identifying, securing, and providing financial or other support for the School of Engineering and Engineering Technology. Each Active Member shall hold a degree in Engineering or Engineering Technology from LeTourneau University granted at least 20 years prior to election and meet the requirements of one of the following categories. Exceptional applicants with less than 20 years of experience will be considered. An outstanding engineer practitioner and/or possesses recognized technical expertise. An outstanding and recognized leader who has achieved distinction in a chosen field other than in engineering. An outstanding and recognized academician, scientist, or researcher in engineering or other chosen field. A person that has pursued a life of Christian service.